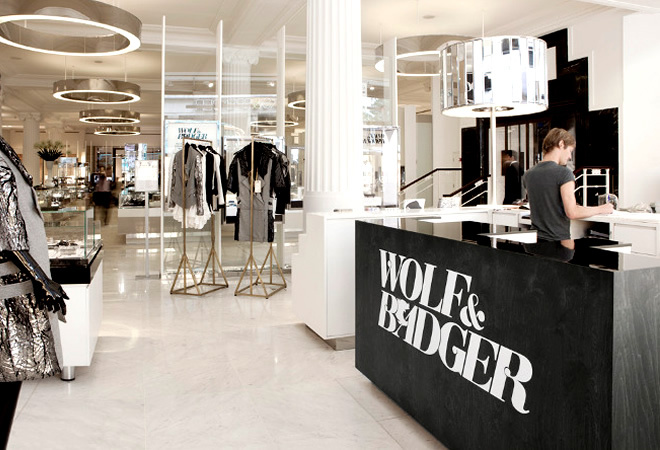 After many months of design and some intense project managing the Wolf & Badger e-comm site is finally up and running. The launch of the site coincides with the launch of the physical shop in London. We were happy to see the new store getting buzz on Dazed and Confused, Daily Candy, The Times and Marie Claire this week.